We returned to Cairo at about 10pm on New Year’s Eve, changed, and went to the mall for a uniquely Arab experience. Recently in every country I’ve visited from the Middle East (Bahrain, UAE), we’ve done the same thing for leisure – headed to the shopping mall. Hordes of kids clustered in groups according to gender were roaming around and, at 11pm, all the shops remained open. We met some friends of Ayman’s at a Lebanese restaurant in the mall, where we ate a great dinner and smoked shisha to celebrate the new year. On the way back to the hotel we stopped by the park where the night before police had killed some 26 protestors from Sudan. The demonstrators had set up camp in the park a couple of weeks earlier because it was located opposite the Cairo offices of the UN High Commission for Refugees (UNHCR). They were protesting a decrease in the benefits paid out by UNHCR as the organization attempted to convince them to return to Sudan following the peace deal with the south. Without warning the Egyptian police moved in to clear the park, killing 20 protestors in the process and receiving widespread international media attention. As we looked on, a lot of police were still in the park clearing it of clothing and other materials left behind by the demonstrators. A plain clothed officer told us off for trying to take photos and we got out of there. I’ve read enough HRW reports to know that you don’t wanna mess with the Egyptian police and especially don’t want to end up in an Egyptian jail. After a few hours sleep Ayman dropped me at the airport and 12 hours later I made it home to my apartment (and a hungry cat!). I realized I had spent just 5 full days on the ground in Egypt, a tiny amount of time. No shopping or sightseeing either. The pyramids and other sights have been there for thousands of years and will remain so in’shallah. I can return another time to do the tourist thing. I’m just glad I got to have the experience I did and grateful to Ayman for showing me a side of Egypt I probably would have never gotten to see without him. We decided to drive further west together with Ayman’s contact Essam to meet another victim just outside the town of Barani. On 7 September 1998 this woman named Madoula was shepherding livestock together with her brother Anwar within sight of their house when the ground underneath her exploded. She lost both legs, an arm, and became blind. Ayman had publicized her case at the time and the Minister of Defense came forward to provide her with some plastic surgery to restore her face and prosthetic legs. A major newspaper gave her a wheelchair and 2,000 Egyptian pounds or about $400. We sat on the floor in one of the spartan rooms of the house and she listened as we talked to her brother. After a while she talked. Now aged 22 years, Madoula spends her days listening to the radio and rarely leaves the house. The wheelchair is not used as the land around the house is rough desert. Her family cares for her, but she is frustrated that she cannot help around the house. Her prosthetic leg, received in 1999, was badly broken, but they couoldn’t afford to pay to fix it. We walked outside to take some still and digital photography. 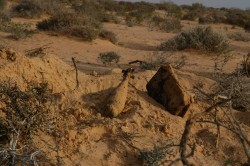 The site of the incident was approximately 300 meters away and, despite the Minister’s intervention of medical aid and media surrounding her case, none of the land had been cleared by the Army. After meeting her very elderly father we left for Barani in time to catch the noon prayers at the mosque. I sat in the car as the locals curiously checked out the only gringo in town. We drove back to Marsa Matruh and went to the home of Adel, one of the survovors brought to Cairo for the conference. 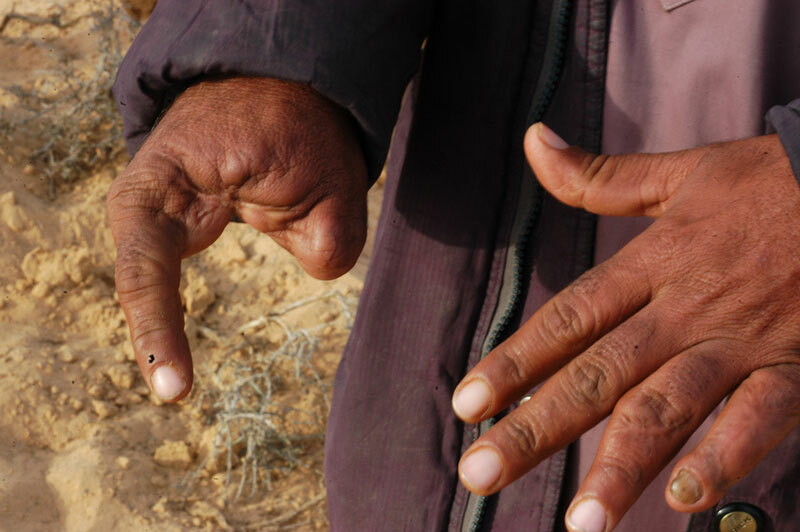 In 1991 at the age of 12 years Adel has lost his right arm and badly damaged his eyesight when he found a piece of ordnance in a vacant lot near his home. His uncle, Khames heard the explosion and took him to hospital. Adel showed me his home, where he spends most of his time watching television. He never completed his education and is unemployed, but, as with the other survivors, is cared for by his extended family. Together we went for a very late lunch and then to the seaside to “Rommel Beach” for the sunset. In the summer (June-August), Marsa Matruh is a popular beach town. Later that evening, Ayman and I did a long interview with a reporter from Matruh Radio before heading out for an even later dinner. I was lucky and also careful so I never got sick from the food, which all tasted pretty nice! 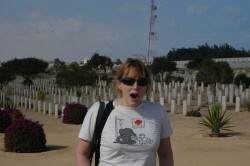 We stopped first in Al Alamein, site of one of the fiercest battles of World War II. In the commmonwealth cemetary I filmed and photographed soldiers’ graves, walking first straight up to the ones from New Zealand without even realizing where I was. My grandfather’s brother Uncle Pat fought at Al Alamein and was injured badly on the right side of his body when the soldier beside him was blown up by a mine. I only learned this after he died in 1986. Upon returning to New Zealand, great uncle Pat opened a catering company together with my grandfather that they named Maadi Caterers after the location of his camp outside Cairo where he had worked in the kitchen. His experience and the pyramids logo on the company letterhead had always interested me, so it was nice to finally see the place. We were the only visitors and after then noise of Cairo, the cemetary with his beautiful plants and trees was quite calming. We stopped by El Alamein’s War Museum checking out all the exhibits on the various countries that fought in the war including the UK (incl. Australia & NZ) and on the other side of the trenches Italy and Germany. Egypt was occupied by the UK as a colonial power at that point meaning Egyptians also fought. 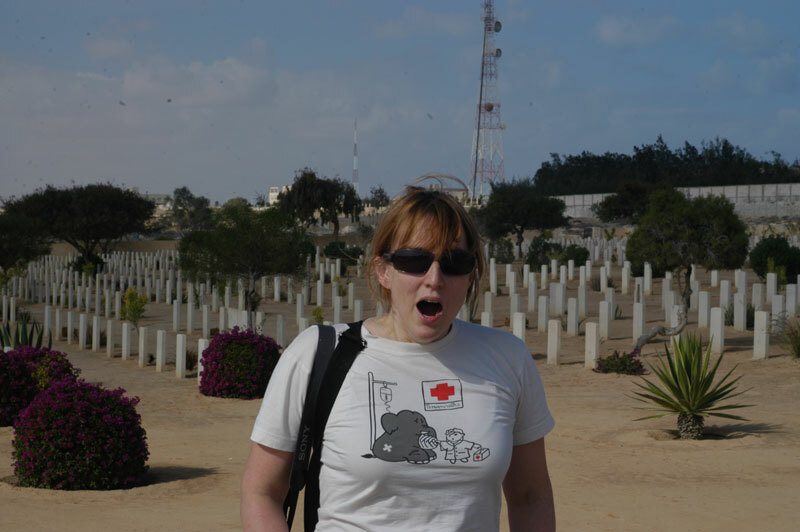 Before leaving El Alamein we made one last stop at the Italian cemetary, a tall white tower filled small named boxes containing the remains of the Italians who had fought. Being Italian it was a beautiful building inside with a dome, a huge cross, a view of the Mediterranean Sea and incredible acoustics. We continued the drive west along the coast passing dozens of minibuses loaded with suitcases of goods purchased in Libya for resale in Egypt. We stopped at Dabaa, met Ayman’s local contact Saber and climbed into his Toyota Hilux pick-up truck to go inland and meet a man who was nearly killed 12 months ago by an unexploded ordnance. 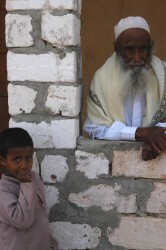 His village was dirt poor – no roads, no electricity, no running water, and minimal housing. 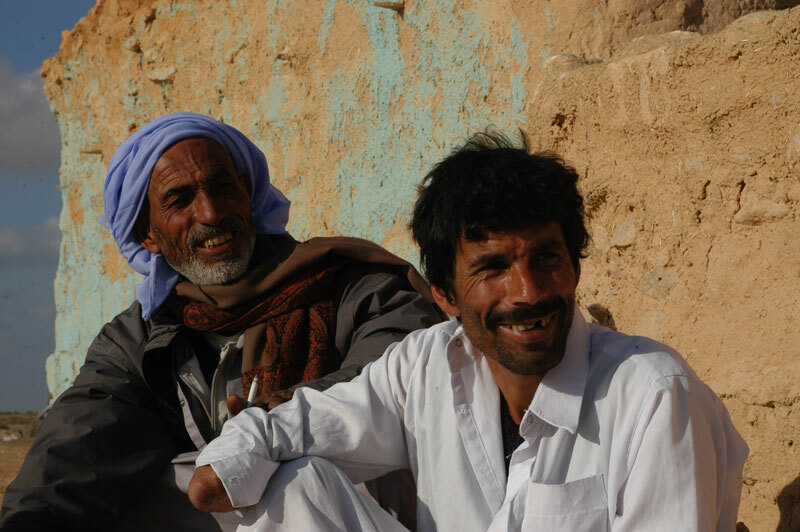 The victim Helal was injured in December 2004 as he grazed his sheep and goats nearby in the desert. His brothers demonstrated how he had made a fire on the ground that lit whatever WWII ordnance was buried underneath the sand. He had lost his hand, damaged his eyesight, badly damaged both both legs, and had horrible scars all over his stomach. Helal’s three sons, aged 2, 3, and 4 years ran around, as he walked over to the well to show how he couldn’t pull up the bucket or help with minimal tasks for the household. He had received 6 months of medical treatment at Alexandria hospital, but this was too far away to return for physical rehabilitation. As we drank tea and I filmed, the family told us about some ordnance that had been recovered from a field in preparation for planting. One of his brothers offered to take us. We drove and then walked a narrow path follow each other’s footsteps until we reached the field. To the side was avery big air dropped bomb that had never detonated. It was as tall as my legs and round. We took photos and filmed and after praying nearby Saber explained that the Atmy would remove the bomb or someone reported it, but the communities in the area are poor and reluctant to contact authorities. 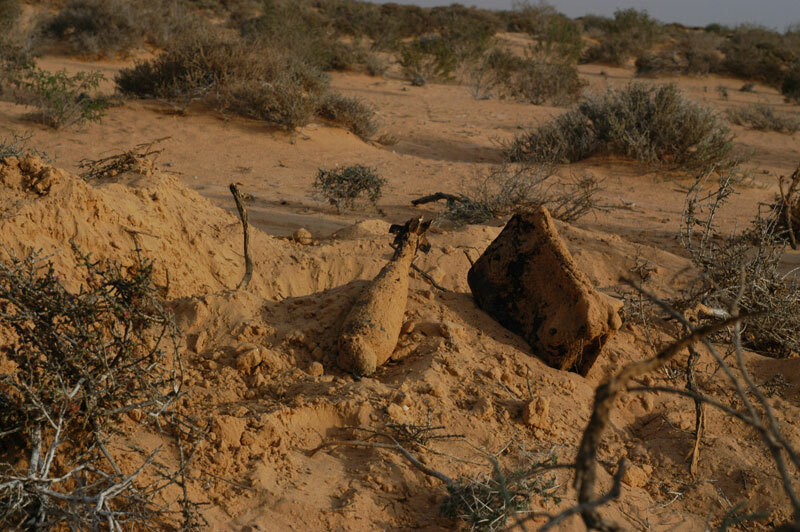 They have no access to telephones either, but all our mobiles worked well out in the desert so I conideredd calling the UN mine action service in New York to get them to take it away! After driving for another hour, Ayman and I made it to the regional capital of Matrouh and checked into a hotel by the main square. The first and last time I came to Cairo was in April 2000 for a conference on mines at the Arab League, hosted by an Egyptian security institute. We had some good discussions including several calls for support to the ban treaty by countries from the region that have already signed such as Jordan and Yemen. 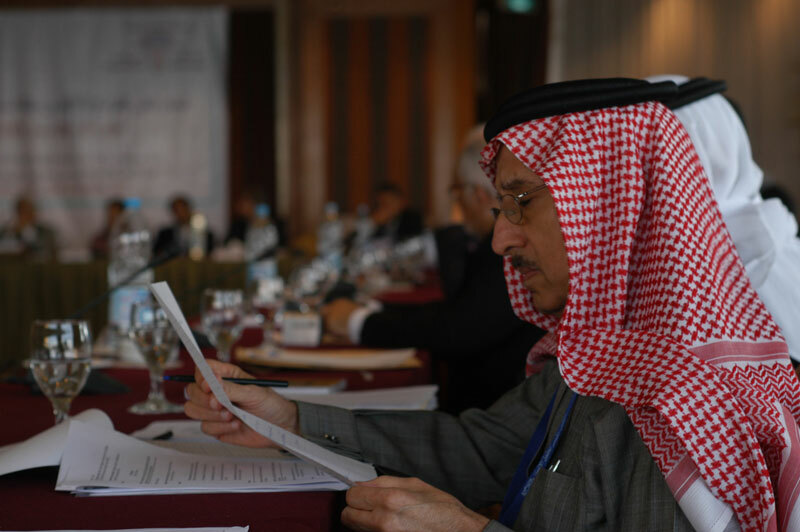 But when it came to the conclusion, the institute’s director announced, “there is no time left for discussion of the final declaration of the meeting so I’m gonna read what I have drafted on behalf of the conference and we can consider it adopted. ” Instead of reflecting the discussions, his document basically endorsed the government’s position against the banning mines and endorsed a certain kind of mine, the so-called “smart” mine. At the end he said declaraed is adopted and proceeded to start to close the meeting. My colleague Ayman, who has campaigned long and hard in Egypt, stood up from the back of the room, pointed at the agenda and interrupted the director demanding discussion before adoption of the statement. “No time,” was the reply. Heproceeded to try and interrupt and the director tried to close the meeting. Ayman then threw down the agenda in disgust and stormed out of the room. 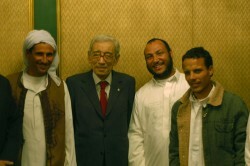 I was seated behind him with a small group of campaigners from the region. We looked at each other, stood up, and followed Ayman out. I noticed the Canadian military expert General Reay also leave the room. Diplomatically, leaving the room at that point is a pretty clear signal of your disagreement with the conclusions of the meeting. It was important to Ayman and us that the international campaign not be associated with the conclusions of the meeting as it would imply we support the government position. If they had allowed time for discussion, maybe we would have been able to improve the text, but being Egypt they did it their way. We went back to the hotel, drafted a press release describing our disappointment that the government had managed to manipulate the conference conclusion through what had now been confirmed as a government-opwned NGO or GONGO and sent it to the campaign coordinator for distribution. After fighting with the hotel over the bill and getting an awful stomach ache, I got out of there at midnight pledging only to return if the government softened its stance. After getting in at midnight with no customs probs despite the HRW reports in my bag, changing a flat tire on what seemed like the busiest highway in Cairo, and 4 hours sleep I had a pretty good day today. It was, however, entirely inside the confines of this extremely posh terrorist target, the Intercontinental Hotel by the River Nile. A lot of friends are here from Algeria, Jordan, Yemen, and even a Hezbollah mine victim I met back in 1998. Everything was late. I think because the parliament was opening, they held off starting until most of the invited Ministers could make it. Boutros Boutros-Ghali, Egypt’s former Foreign Minister, the UN Sec-Gen prior to Kofi Annan, and president of the host of the conference opened the meeting with a brief, but good statement. He called for all countries to join the treaty, including Egypt. Then a dozen government ministers spoke, at varying lengths, mostly long! What I liked is that they were talking about what their Ministry could do to aid development in the country’s northwest, where most of the WWII mines are located. Sure, they said they need money, but very few gave the same tired old argument that Egypt cannot support the treaty because the agreement fails to require the governments that laid the mines, clear them. They must have realized this line was getting rather old and the rest of the world is moving on without them! Here I am at Heathrow waiting for my flight to Cairo. This blog has been up for over a week now, but I’m reluctant to fill it w. content. My ramblings anyway. Headed to Egypt for a conference convened by the Egyptian Human Rights Council, a government-appointed group headed by Boutros-Boutros Ghali, the country’s former Foreign Minister and UN Secretary-General. I spent the last 2 hours reading a stack of HRW reports on Egypt issued in the past year: homosexuals tortured in prison, women’s unequal access to divorce, police crackdown on anti-war activists, NGO marginalization & repression, rendition of Islamists to Egypt. All sorts of grim stuff; the government is quite nasty. The Minister of Foreign Affairs accepted to meet with by colleague Ambassador Singh, but refuses to meet with Ayman, who is our local campaigner in Cairo.